The Alfie Bloom series follows the story of a boy who inherits a castle and discovers that he has an ancient magic hidden inside him. A magic which others seek, but is very dangerous to use. Across the series of books, Alfie and his family and friends must protect his inheritance from dangerous forces. Fortunately, Orin Hopcraft the last of the great druids, Caspian Bone the shapeshifting solicitor, and Artan the flying bearskin rug are around to lend a hand! The Alfie Bloom series has been translated and published in: The United Kingdom, Germany, France, Poland, The Czech Republic, Turkey and the USA. Alfie Bloom’s life is dull and lonely, until the day he meets the mysterious Caspian Bone and learns of his incredible fortune. 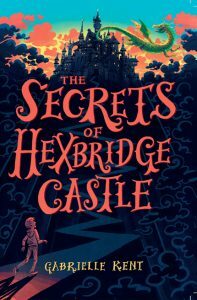 Alfie is heir to a castle full of wonders that has been sealed for centuries. And so begins a life beyond his wildest dreams. But deep below the castle lies its darkest secret, one that Alfie must protect at all costs, or risk losing everything. Alfie Bloom’s new life has come with new dangers. 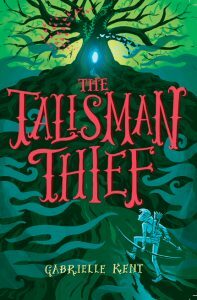 When Ashford the butler is kidnapped in the middle of the night and the castle comes under siege from a terrifying magical enemy, it’s up to to Alfie to defend it. Trapped inside with only his twin cousins and best friend Amy, Alfie knows he must take on the intruders and defend his inheritance. Because if he doesn’t, the world will never be the same. When Alfie Bloom travels back to the 1400’s to begin his training with Orin Hopcraft, last of the great druids, he begins to understand the true power and dark lure of the magic that he guards. 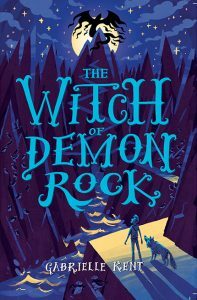 When those around him begin to fall victim to a creature of shadows, Alfie must undertake a quest to find the one person who can help them – the witch of Demon Rock.